Whatever your printing requirements, choose from our great selection of 100% authentic or fully compatible Kodak inks and cartridges for all your replacement needs, including Genuine Kodak 10B Ink Cartridges. In addition to our great offers, you can also take advantage of our full money back guarantee if you are not happy with the quality of your purchases. Additionally, our free delivery service means you won’t be paying hidden charges at the checkout, just the great prices you see on all our items. 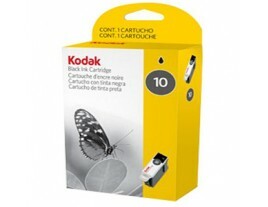 To get the best deal on a genuine Kodak 10 Multipack follow the link and add one to your basket today.